Laltex Group have been operating in the promotional merchandise industry since 2000 and have grown to offer 4 specialist divisions, each supplying a great variety of promotional items 100% to the trade. 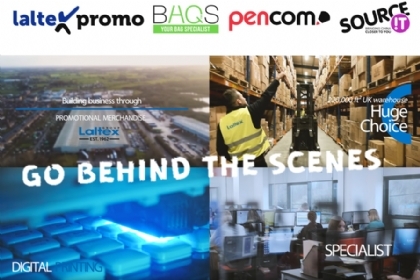 Go behind the scenes to meet our four specialist promotional merchandise suppliers in newly renovated offices, walk through our huge UK warehouse, see our precision in-house branding and discover the benefits of teaming up with the Laltex Group. If you're a promotional merchandise distributor, or looking to get started, please contact us for more information at sales@laltex.com or call 01942 687000.